Teddy Bridgewater has had a strange career. He was picked with the 32nd pick of the 2014 NFL Draft out of Louisville by the Minnesota Vikings, who traded up to get him based off of his playmaking potential. He then went on to win the Pepsi NFL Rookie of the Year in 2014, went to the Pro Bowl in 2015, and took the Vikings into the playoffs before losing to the Seahawks after his kicker choked HARD. Things then took a turn for the worse for Bridgewater. Before the 2016 season began, the young quarterback severely tore his ACL. The rehab from this serious injury ended up causing him to miss both the 2016 and the 2017 seasons, effectively ending his Vikings career. 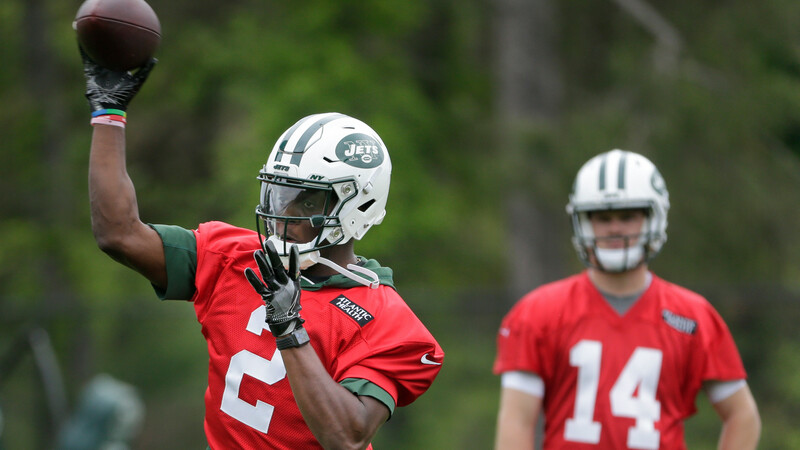 This offseason, Bridgewater signed a contract with the New York Jets, resulting in an abnormality in the NFL; a good quarterback situation for Gang Green. Along with Bridgewater, the Jets also have the third overall pick in this year’s draft, Sam Darnold, and veteran Josh McCown. Darnold is New York’s QB of the future, and McCown is arguably the best backup in the league. These two factors could make Bridgewater an attractive trade target for a team willing to take the risk. After having the best QB situation in the league last year, the Pats are looking a little thin behind the 41 year old Tom Brady. They have veteran Brian Hoyer, an underwhelming backup and Danny Etling, an unproven rookie. They would be smart to buy low on Teddy Bridgewater, further let him recover from his injury, and give him time to learn the Pats playbook for at least a year before seeing any action. He would be a competent backup and maybe the eventual successor to TB12. The Dolphins have been waiting for Ryan Tannehill to take the leap ever since they drafted him in 2012, and rumor has it they’re sick of waiting. Bringing in Bridgewater would either push Tannehill to be better, or push him out the door. Either way, its a win for the Dolphins. Head coach Adam Gase could do a lot with an athletic playmaker like Bridgewater, who is a lot more football smart than Tannehill, and offers more mobility. With another suspension, James Winston is starting to tire out the Bucs with his antics. Bridgewater would give them a viable starter to replace him who would excel with all the weapons in Tampa, such as Mike Evans, OJ Howard, Cameron Brate, and recent draft pick Ronald Jones II. If the Buccaneers decide that Winston’s talent isn’t worth all the trouble and interceptions, Bridgewater is the best quarterback they could hope to trade for. The Broncos have dealt with mediocrity at the QB position ever since Peyton Manning retired. If the Broncos aren’t sold on Case Keenum (they shouldn’t be) or bust-to-be Paxton Lynch, they could make a move to get themselves a competent QB. The Giants have Eli Manning as the starter, and will hope that his dreadful performance last year was due to their porous offensive line. The Giants expect that this year behind an improved line and with more weapons, including second overall pick Saquon Barkley, will help Manning. If Manning starts faltering, Bridgewater could become an option. All teams that will likely make the playoffs, but have aging quarterbacks and no ready replacement. If one of these teams wanted to make plans for the future (or the present considering Big Ben’s injury history) Bridgewater would be a good trade.